Where'd You Go Bernadette is book I'd heard many good things about. It seemed to be a great read, based off of the interest people were taking in it (and also the many Instagram posts I'd seen on my feed that featured the book cover). I found a copy at the bookstore for $10 and decided I may as well go for it since the library queue for the book would never end, and I would always seemingly be at the end of that queue. Semple's story is uniquely written, as the plot is driven by non-narration, essentially. Letters and emails steer the story, with the occasional narrative by Bernadette's daughter Bee. Bernadette is a former hot-shot architect who has become a recluse in Seattle after a snafu with her last innovative project. Her daughter Bee has asked for a family trip to Antarctica after performing well in school. This puts homebody Bernadette into a tailspin of emotions, making life especially difficult for her celebrated Microsoft husband Elgie. In short, Bernadette disappears after a series of questionable behaviors, and Bee and Elgie must track her down. Everyone else loves this book, but I found Where'd You Go Bernadette to be just ok. The non-narration was fascinating, but the plot took a really long time to get anywhere. The book is a good 2/3 complete before we are even forced to wonder where Bernadette went, which I think is too long. There are also issues with the characters and their development; the story sets up Bernadette in a certain light, which initiates her disappearance, then that light she was cast in is quickly disregarded. Characters don't go through much of a development process and abruptly go from acting one way to another without much detail - or at least not enough detail for me - as to why. The characters also do awful things to one another like bullying each other's children, having affairs, etc., but they are forgiven fairly easily given their offenses. All-in-all, the issues with Where'd You Go Bernadette center around pacing; some aspects of the book are given too much time to unfold while others deserved a bit more than they received. The narration made for a story told in mainly short sections by various characters, with a few longer segments occasionally included. However, the longer parts happen to be where Semple writes at her best. The most enjoyable part of the book is where Bernadette's architectural back story is described. This section of the story was chapter-sized - most sections were a few pages at most - which allowed Semple ample time to provide depth, flavor, and understanding to Bernadette, something that would have been beneficial to incorporate more throughout the book. Were additional longer sections blended into the story, the issues I had with Where'd You Go Bernadette would likely be resolved. 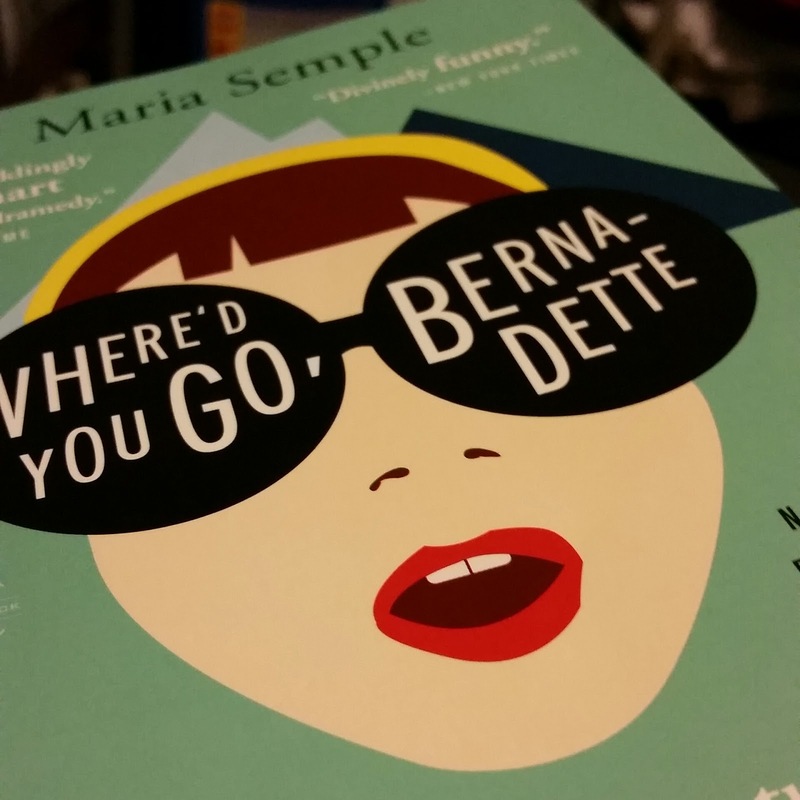 I won't recommend that you skip Where'd You Go Bernadette because although there were snafus throughout, it's still a quirky read that I'm sure many will enjoy. Were the pacing issues absent, I could give the book a glowing review, but they cause the plot to struggle and for me to write unhappy blogs about them. Let me know what you think about it, Hipsters! This book is on my to-read list and I'm glad i read your review before I picked it up. Maybe I'll borrow it from the library instead of buying a copy. Thanks for sharing! Thank you, Lecy! I hope the library wait is not a long one for you! Trish, the book does a good job of indicating who's point of view the story's from, but the majority of the actual narration comes from one character. Let me know if you decide to read it!